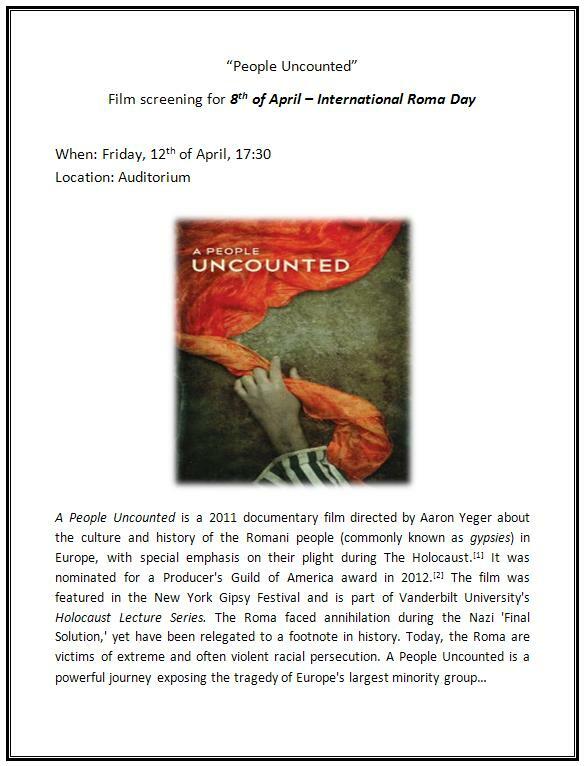 A People Uncounted is a 2011 documentary film directed by Aaron Yeger about the culture and history of the Romani people (commonly known as gypsies) in Europe, with special emphasis on their plight during The Holocaust. It was nominated for a Producer's Guild of America award in 2012. The film was featured in the New York Gipsy Festival and is part of Vanderbilt University's Holocaust Lecture Series. The Roma faced annihilation during the Nazi 'Final Solution,' yet have been relegated to a footnote in history. Today, the Roma are victims of extreme and often violent racial persecution. A People Uncounted is a powerful journey exposing the tragedy of Europe's largest minority group.